I dehydrated three pounds of grape tomatoes in my oven last week. I think they turned out well. 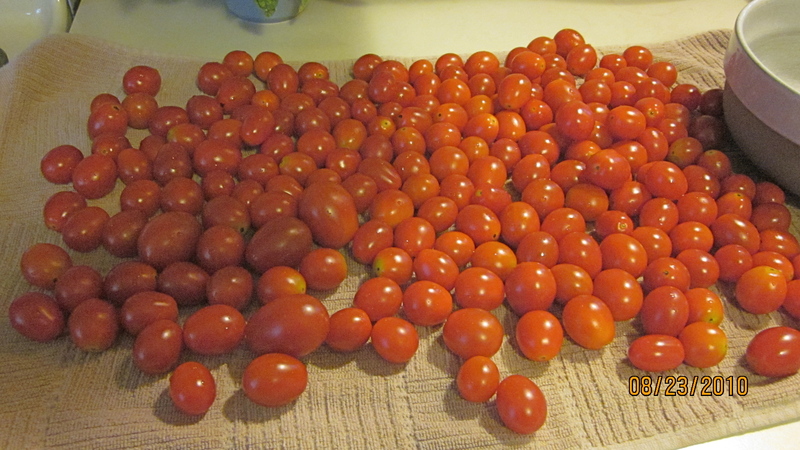 It’s definitely a good idea to make sure the tomatoes are all the same size. I included a handful of slightly larger tomatoes in the batch and they did not dehydrate at the same rate as the smaller ones. They’ll be a great treat this winter in pasta, on pizza and in risotto. 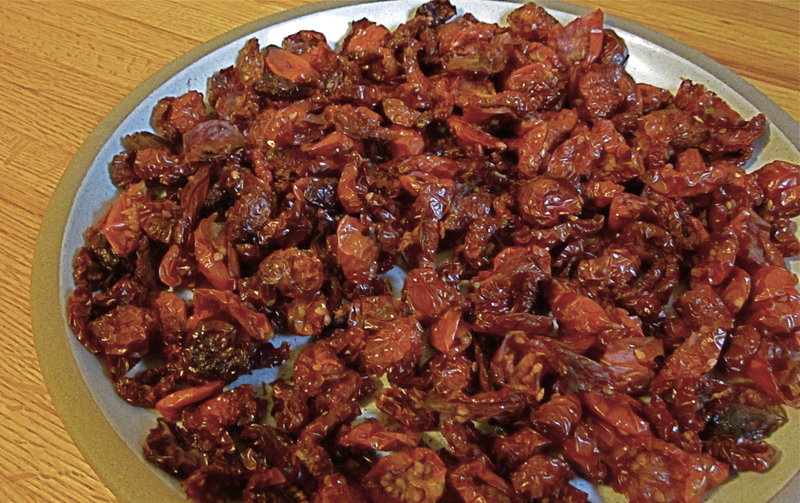 Here’s a Sun-Dried Tomato recipe site with lots of ideas. Thanks for the site link. I’ve had a dehydrator over a year now and have to admit I’m yet to use it. Your post has inspired me!